One of the alluring aspects to Emerald Isle houses is that they are incredibly diverse both in style and in price. Perhaps when one thinks of Emerald Isle houses, the first image that comes to mind is that of a sprawling oceanfront estate, complete with inground pool, lush landscaping. If this is the type of property you are looking for, you will certainly be pleased to view our current listings matching this description. 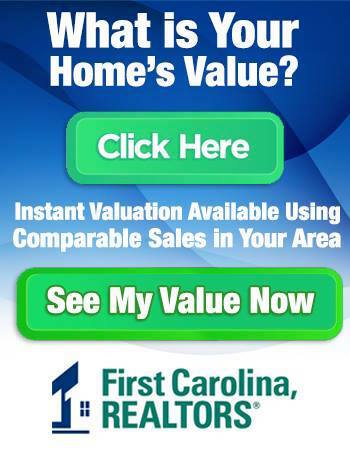 At First Carolina REALTORS, we do have a host of current listings that range from quaint cottages to sophisticated homes to historic beach homes and everything in-between. If you have been dreaming of a New England clapboard saltbox complete with a white picket fence, and a sunroom, we can help you find the property that makes your heart sing. Perhaps you would prefer a renovated farmhouse with wraparound front porch and all. Emerald Isle homes can be contemporary, historic, renovated, casual, luxurious, understated, quaint, or welcoming; sometimes all in one. Emerald Isle – Crystal Coast area are comprised of several affluent towns that manage to blend easy living with upscale luxury. It is not uncommon to walk into a sprawling oceanfront estate and feel like you can relax on the couch and put your feet up on the coffee table. All of us at First Carolina Realtors believe this is what makes the Crystal Coast and Emerald Isle so special. There are not many places in the world where luxury and casual come together so naturally. From cozy capes to converted barns to beach estates, you can certainly find what you are looking for in the Emerald Isle. 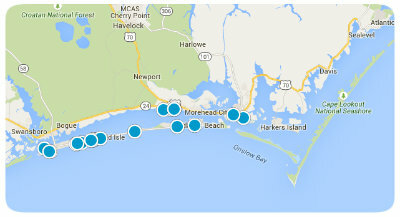 Please feel free to call us anytime at 252-447-7900 when you are ready to look for your own home on the Crystal Coast. We can also assist you if you are looking to sell your current property. Our dedicated team of professionals is intimately familiar with all of the towns and communities throughout the Crystal Coast, and can provide you with the facts you need to make informed decisions.